When it comes to Chinese-American cuisine, eaters today want more than just the usual suspects. General Tso’s and sesame chicken remain menu staples, but restaurateurs around the country are flirting with innovation, redefining Chinese food by fusing the traditional with the not so much. There’s crispy ham in the spicy wontons at Cassia in Santa Monica and Peking duck served with peanut-butter hoisin in San Francisco. 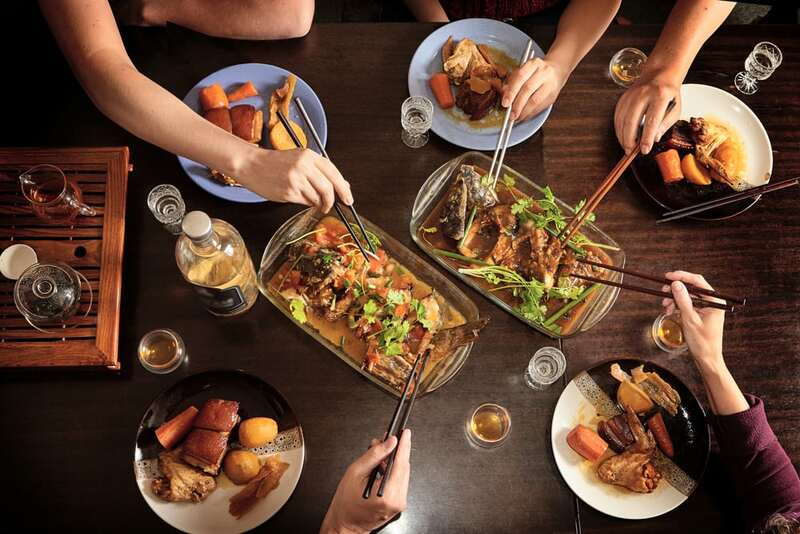 This effort to elevate Chinese-American cuisine echoes the sentiment of a report by National Restaurant Association, which claims “going global” is in. 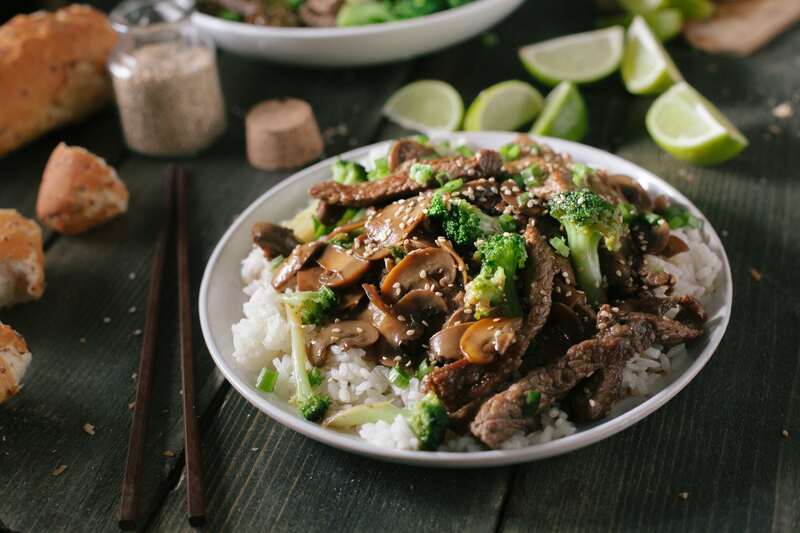 Both traditional global cuisine and fusion dishes are trending, and it’s fueling the new movement of Asian-American cuisine in the best way. In 1849, rumors of gold nuggets and get-rich-quick schemes floated across the Pacific and enticed waves of Chinese immigrants to California. Far from home, South China merchants, or “Chinese 49’ers”, as Oxford University Press calls them, latched onto a dream and their heritage, using food to pay homage to their roots by using familiar ingredients in the most instinctive way. But what was normal for these merchants felt like a reversal of dinnertime norms for American workers used to living on salt pork, potatoes, and brandy. Chinese-American cuisine wasn’t always embraced by the American food scene. Consumers were skeptical, less than infatuated with these never-before-seen cooking techniques and foreign smells wafting from restaurant chimneys. Mainstream media outlets of the time marked Chinese cooking as “repulsive to the epicurean taste of an Anglo-Saxon” full of “strange odors of the East.” It wasn’t until the early 20th century that Chinese-American cuisine migrated east, popping up in cities like Chicago and New York City, that perceptions changed. Metropolises everywhere associated Chinatowns with dollar signs and dubbed them profitable tourist destinations. Almost every city began erecting their own flavor haven until, suddenly, Chinese food was a national buzzword. “Of all the places in Chinatown, the most interesting are the restaurants,” an 1888 newspaper report of New York’s Chinese arrival wrote. Riding on the coattails of a fad, Chinese restaurants plowed through their Chinatown borders and served up a new cuisine adapted for American diners and their picky palates. Dishes became sweeter, boneless, and, of course, deep-fried. Broccoli, carrots, and yellow onions—vegetables deemed irrelevant in China—lined menus even though Americanized dishes like beef with broccoli and General Tso’s chicken are virtually unheard of overseas. Forget that traditional Chinese desserts are a rarity, fortune cookies started capping “typical” Chinese meals in the States as well. Foodies questioned its authenticity. Others argued that such adaptations are the very definition of fusion. Then, President Richard Nixon was filmed enjoying Peking Duck during a trip to Beijing in 1972 and everything changed. Once cherished, but now monotonous American-style TV dinners and hamburgers were outshone by diverse dishes of Chinese-American cuisine. Chop suey, chow mein, or egg rolls were old news. Nixon’s adventurous appetite proved anyone could serve those dishes. It was only the hippest folks, adventurous “Bohemians,” who reached for authentic Chinese food, according to food historian Andrew Coe. Once alien to the West, Chinese-American cuisine remained unrelenting in its quest for national representation. By 1980, it had become the most popular ethnic food consumed on a national level. Chefs viewed the plate as their playground, infusing a subtle Western influence into contemporary Chinese-American cuisine. Today, there are more Chinese restaurants in the United States than fast-food locations of McDonald’s, Burger King, Kentucky Fried Chicken, and Wendy’s combined. And no matter when or where you crave it, Chinese food can be summoned. When asked to rank their favorite cuisine for delivery, American’s give Chinese items a top spot, according to Eater.